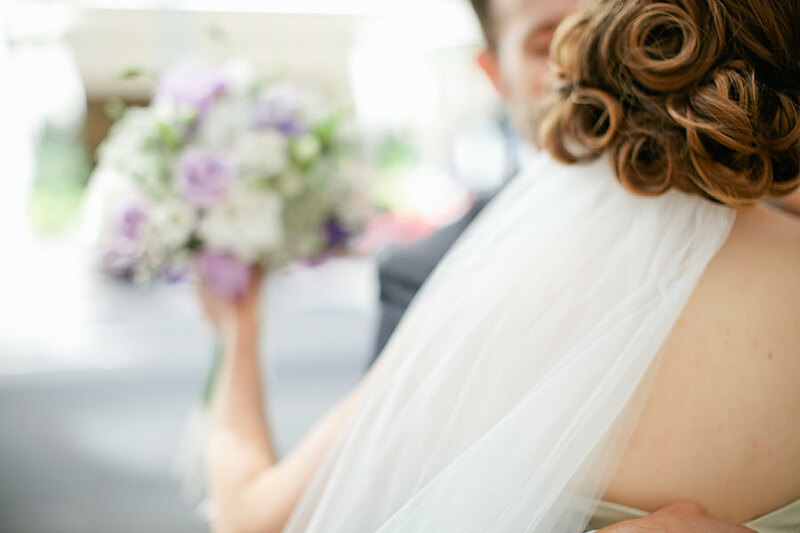 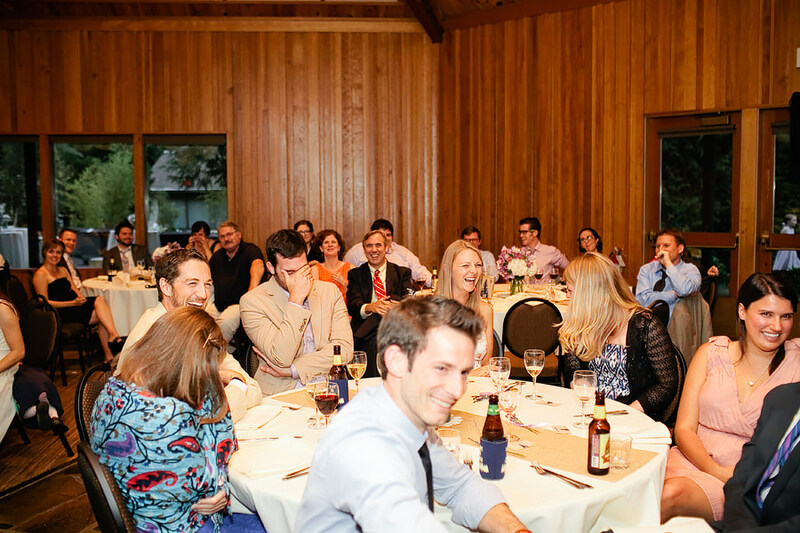 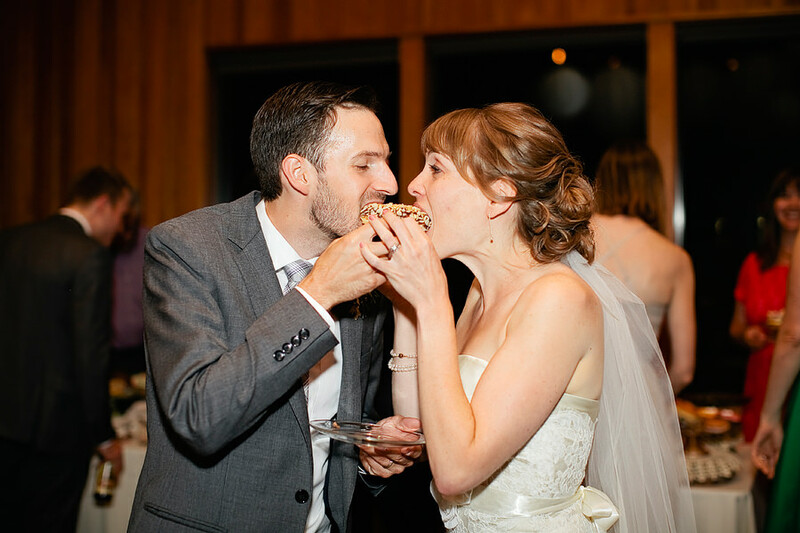 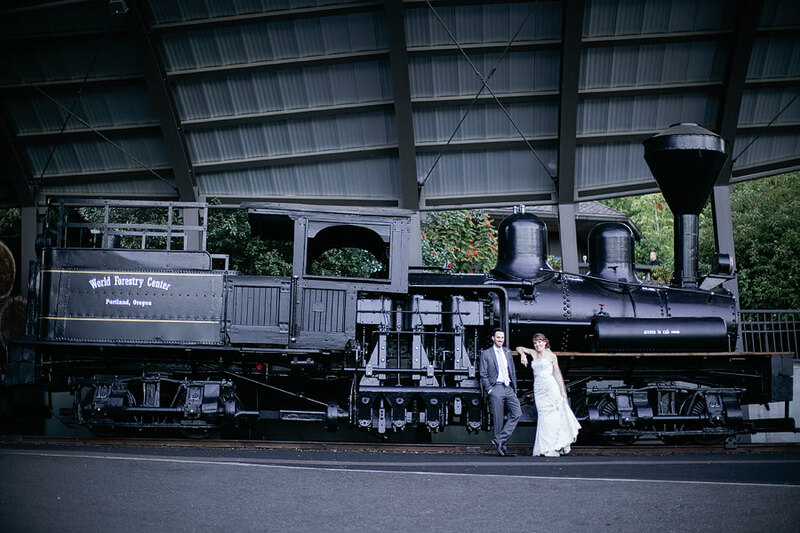 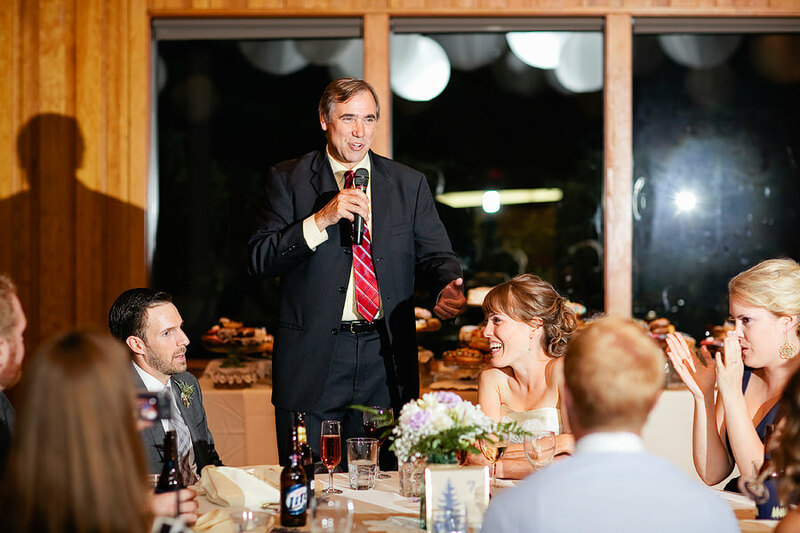 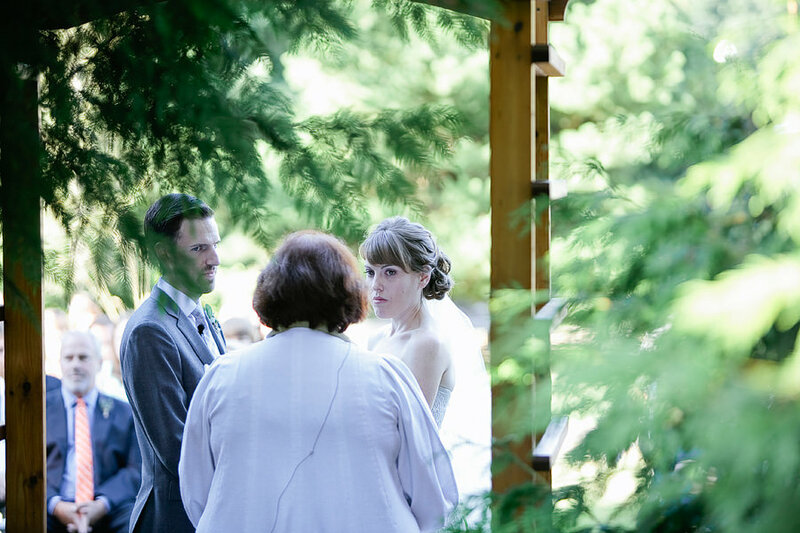 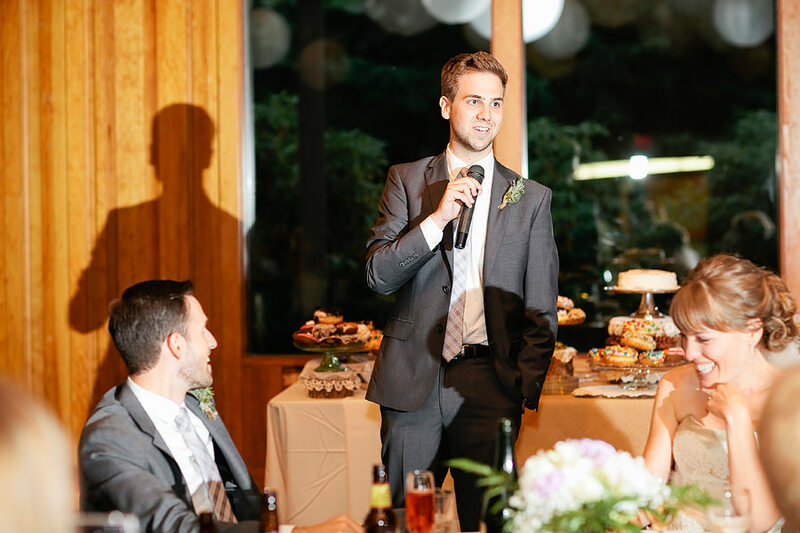 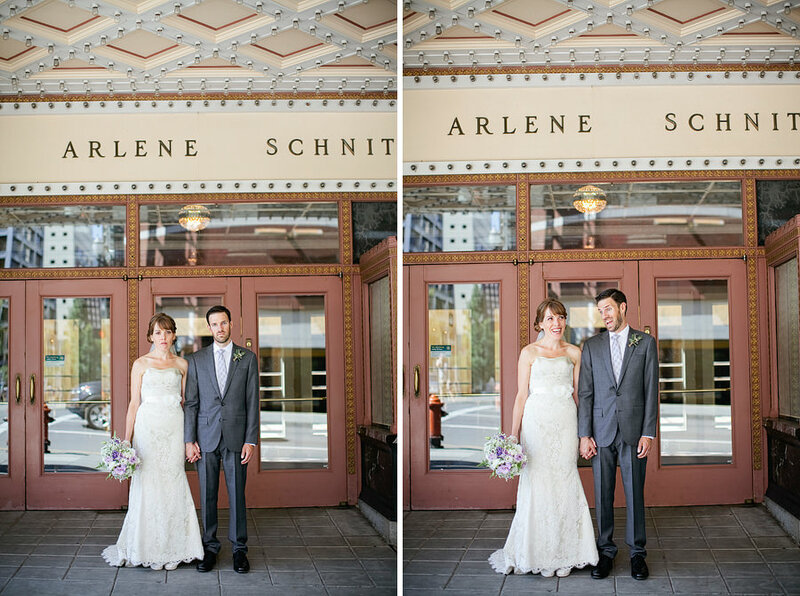 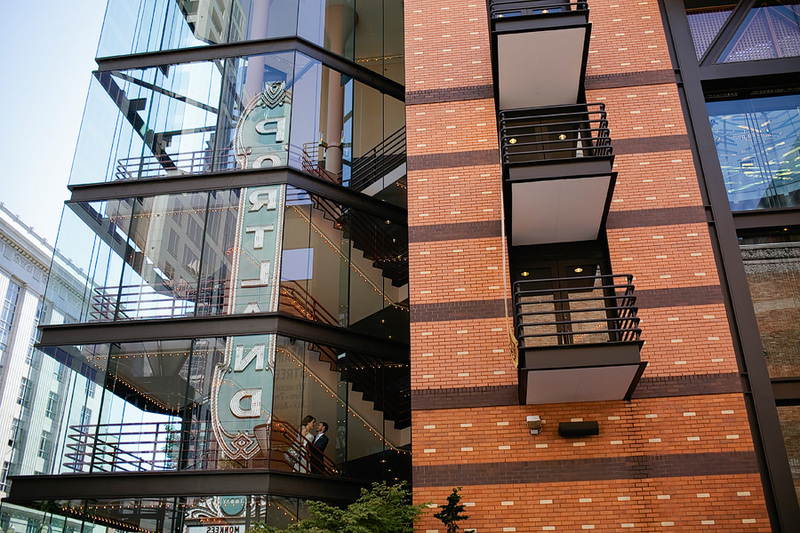 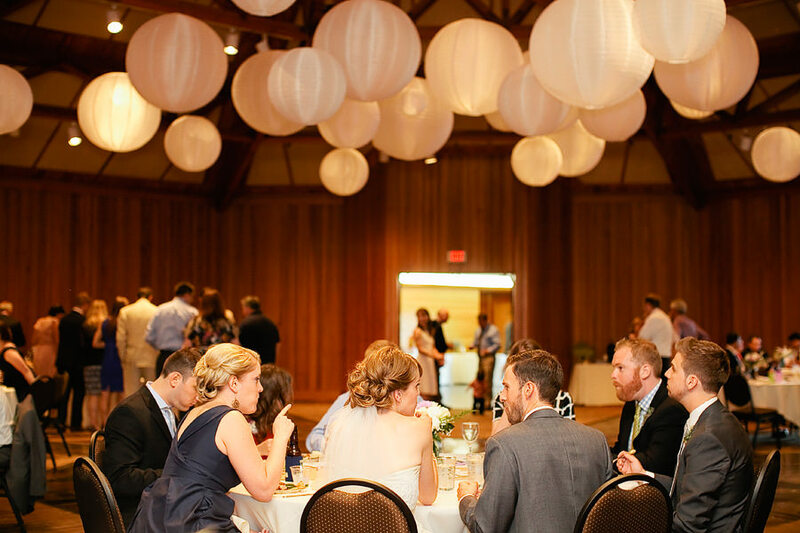 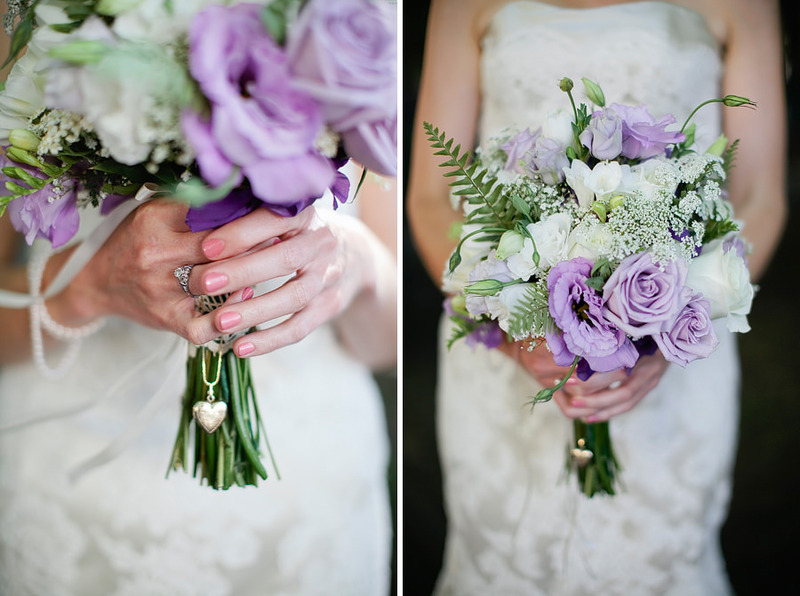 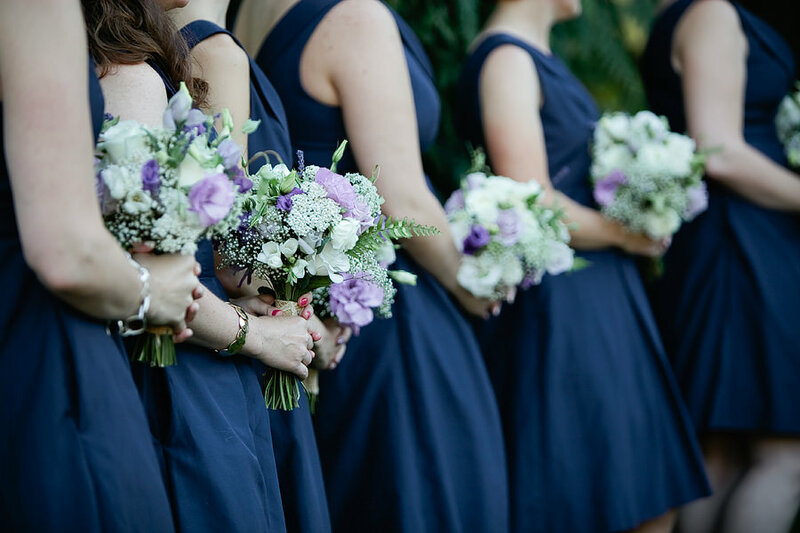 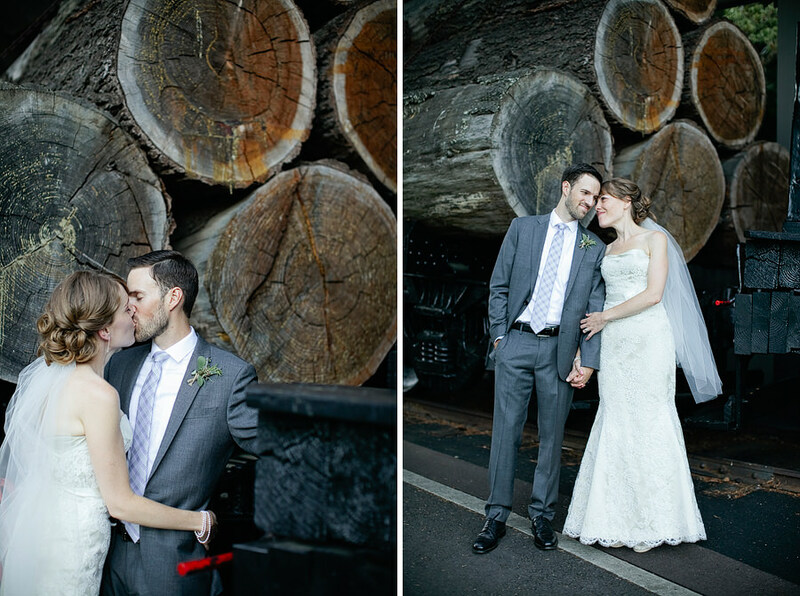 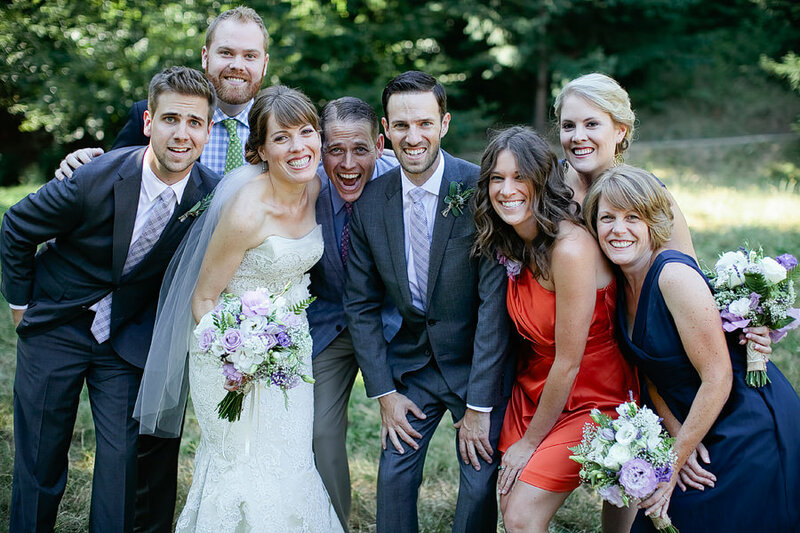 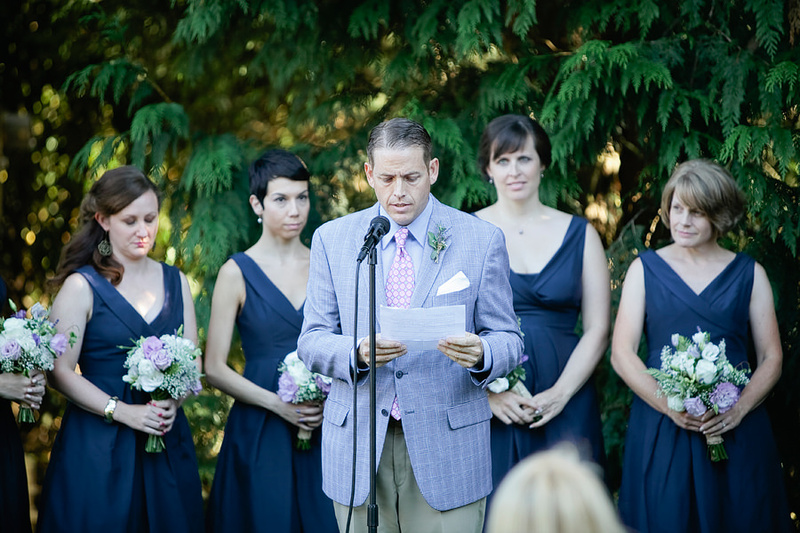 Courtney and Mike had such a gorgeous, detail filled wedding at the World Forestry Center! 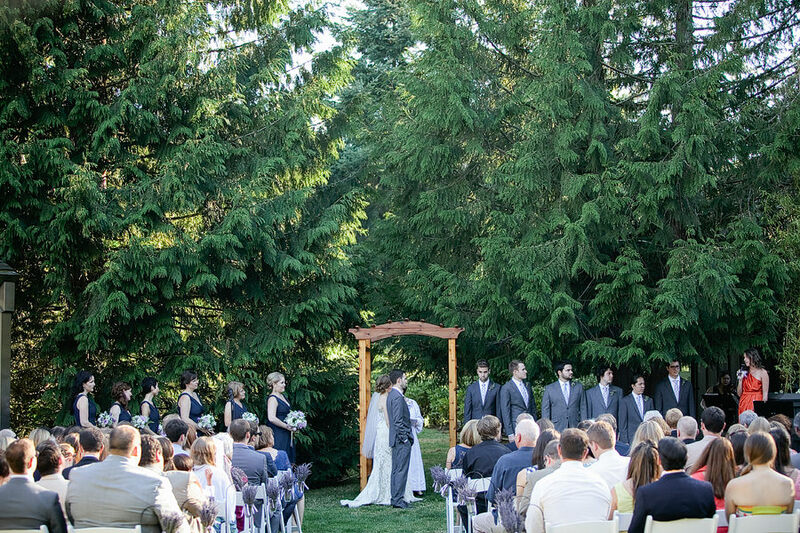 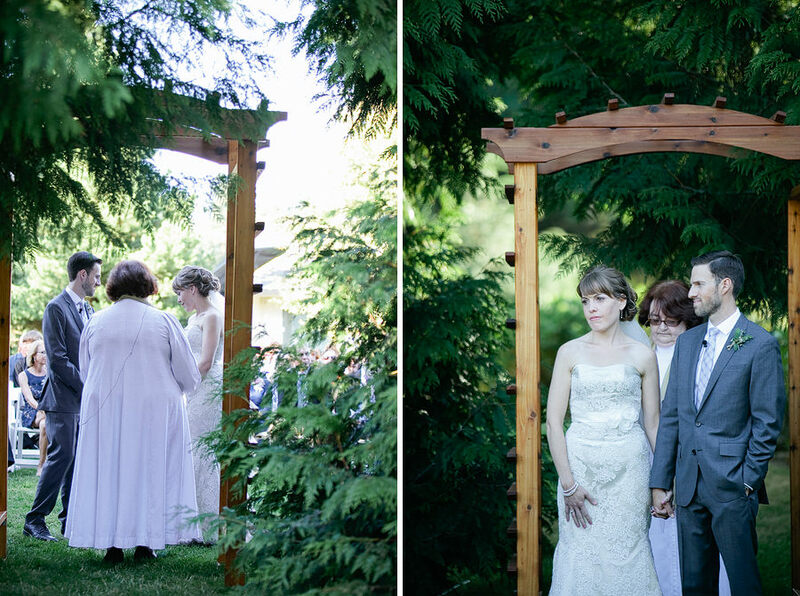 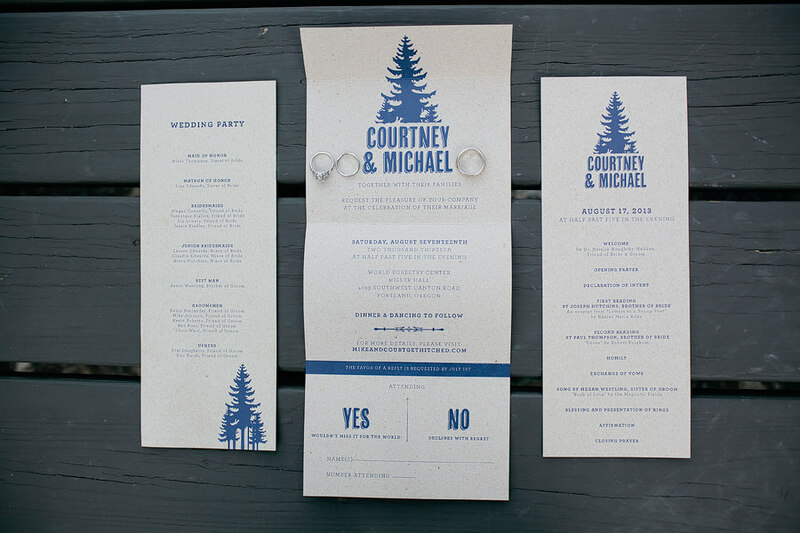 I love how they incorporated their venue’s feel into the theme of a forest wedding! 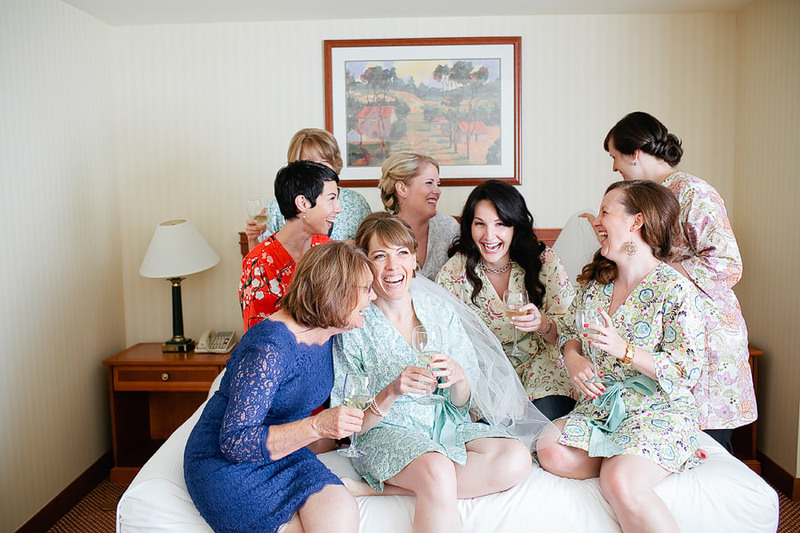 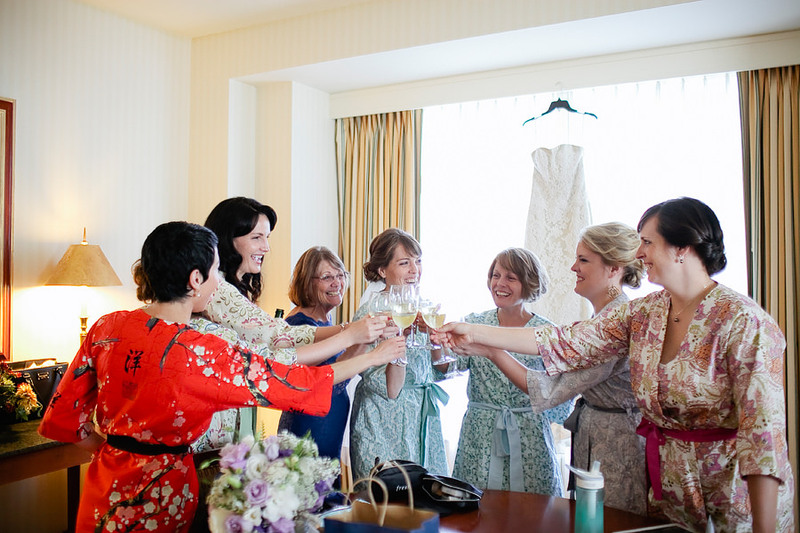 The girls started the day getting ready at the Hilton, in cute matching robes. 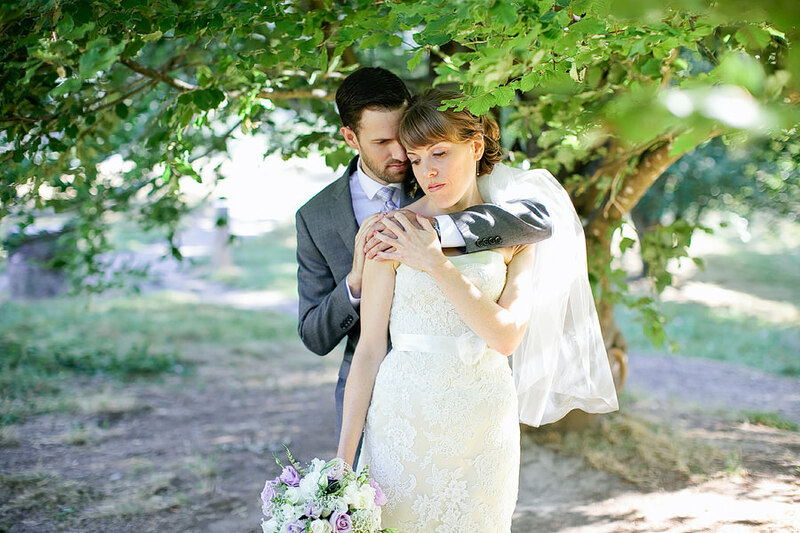 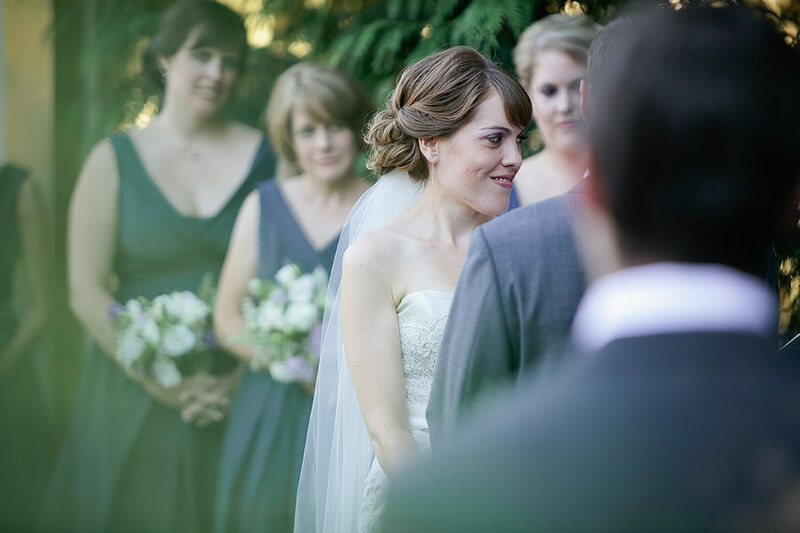 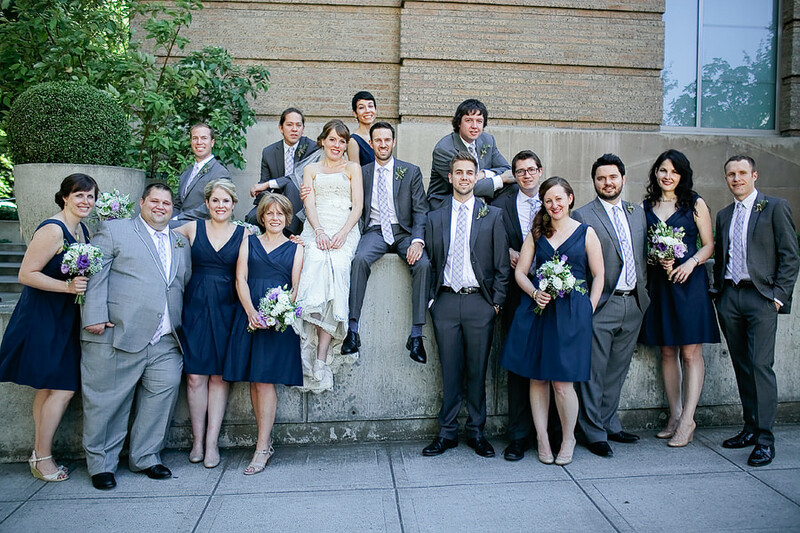 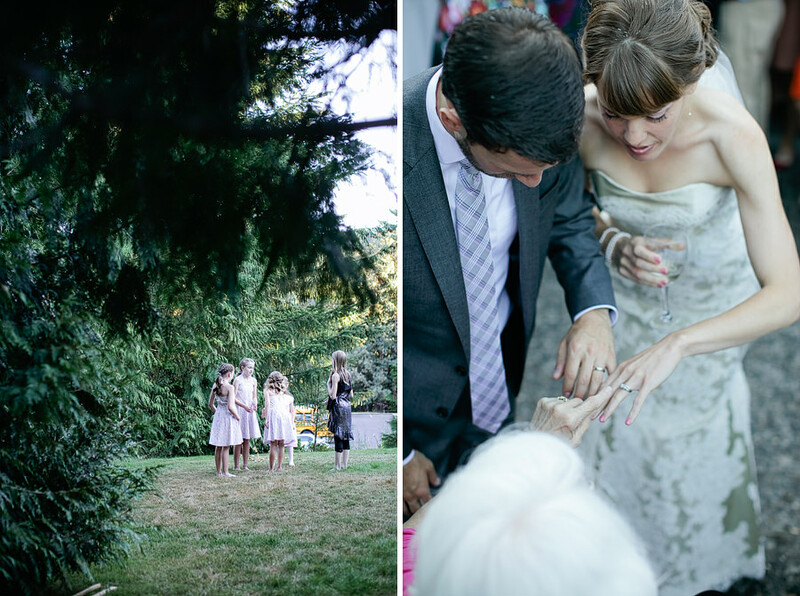 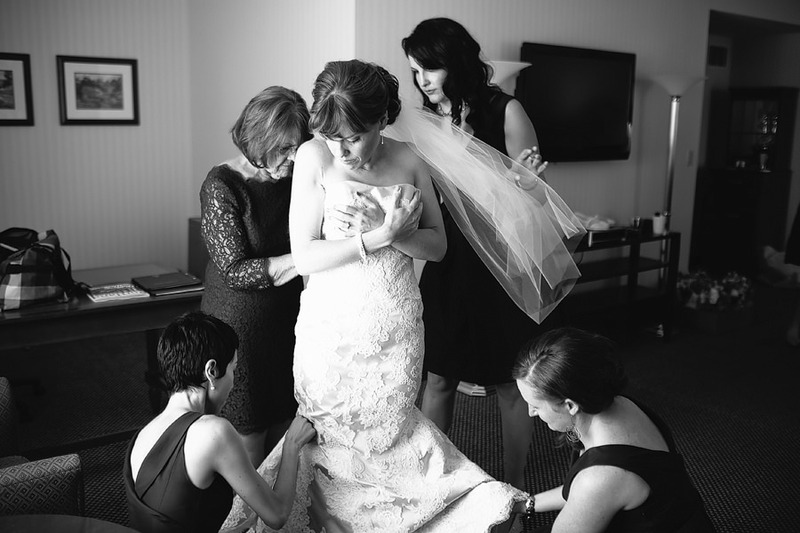 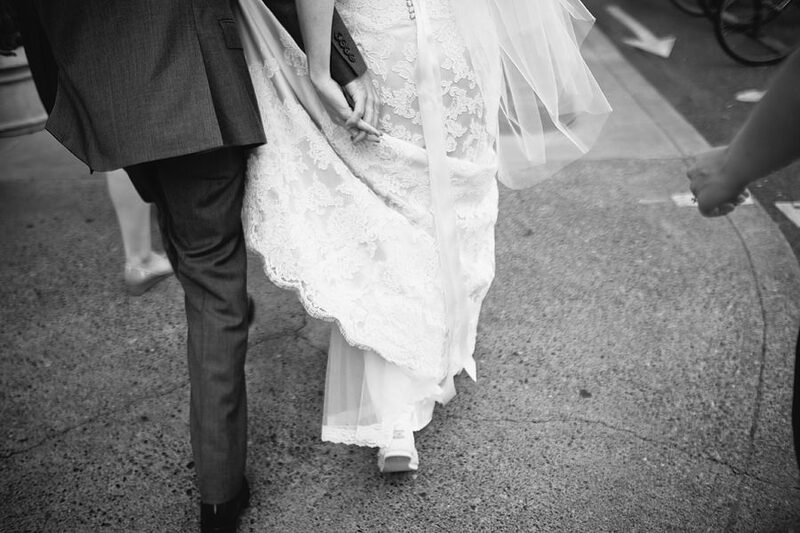 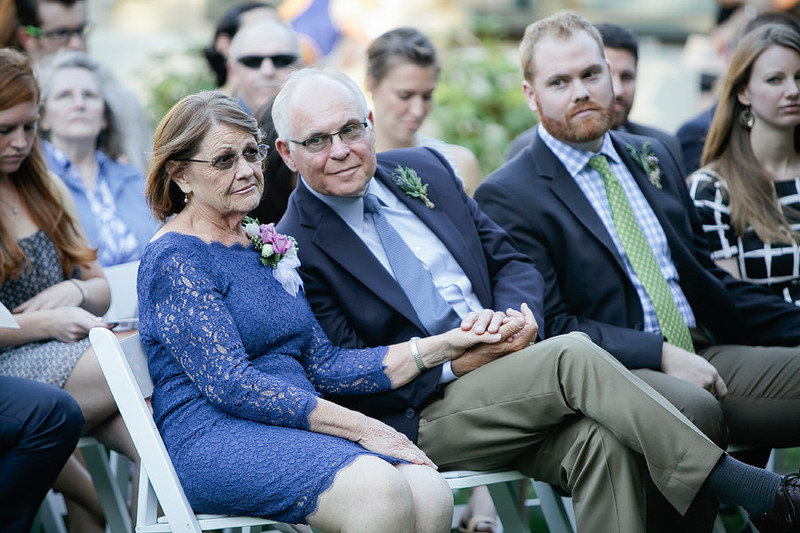 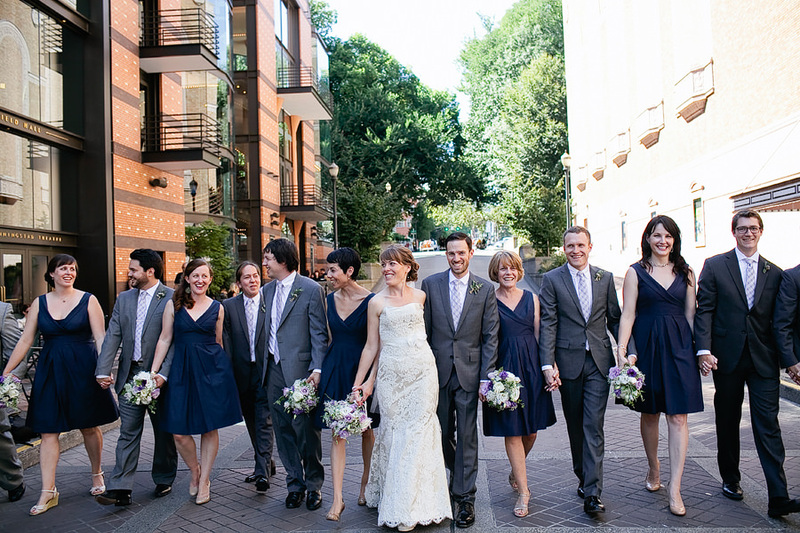 Courtney’s beautiful wedding dress was a Modern Trousseau and she wore cute, lacy, Toms for her wedding shoes! 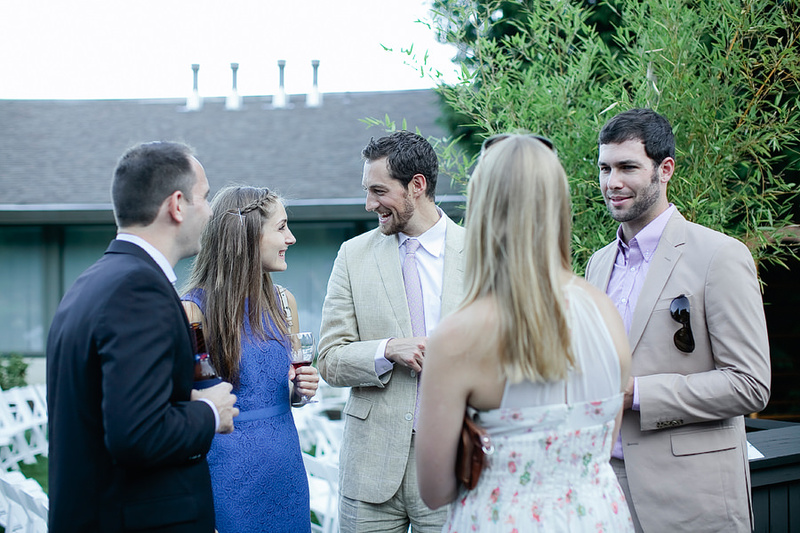 The guys wore suits from J.Crew, with ties from Express. 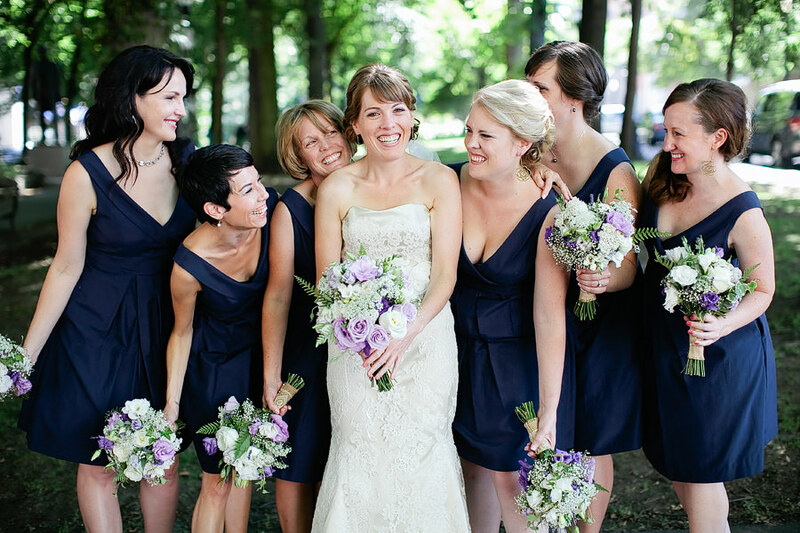 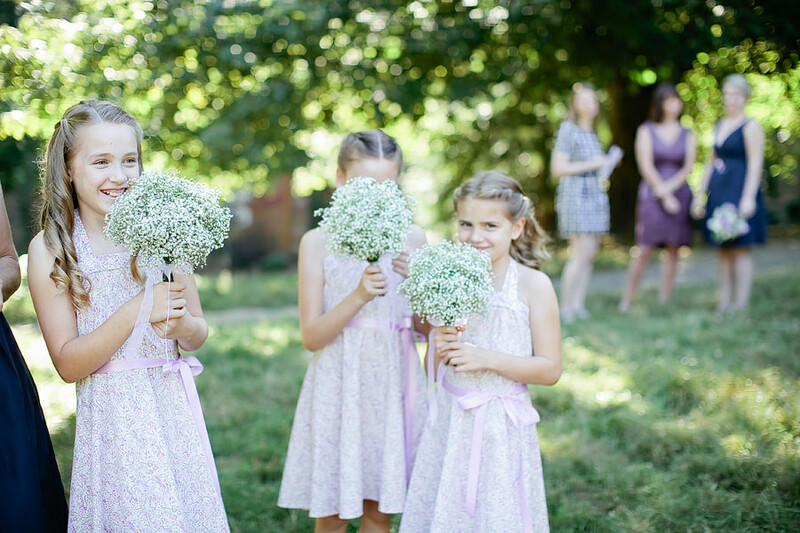 The bridesmaids dresses are BHLDN, and the junior bridesmaids were handmade from Courtney’s sister and Mom! 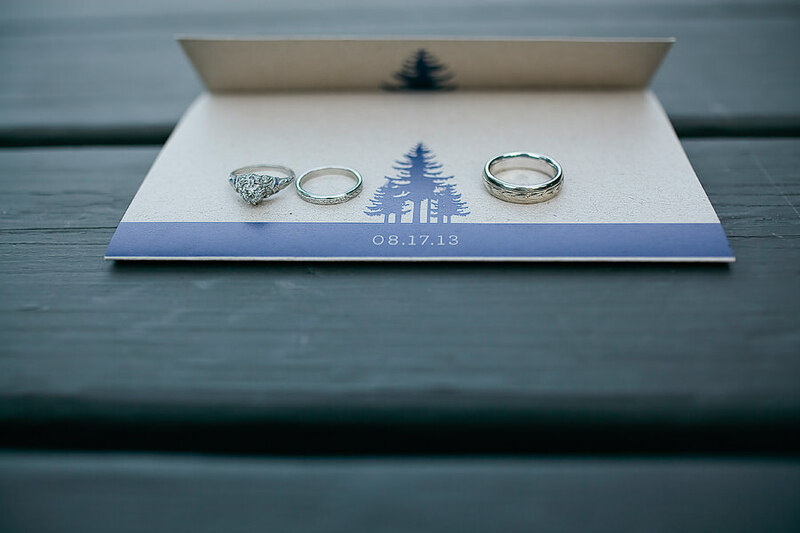 Their gorgeous vintage rings are from Maloy’s Jewelery Workshop. 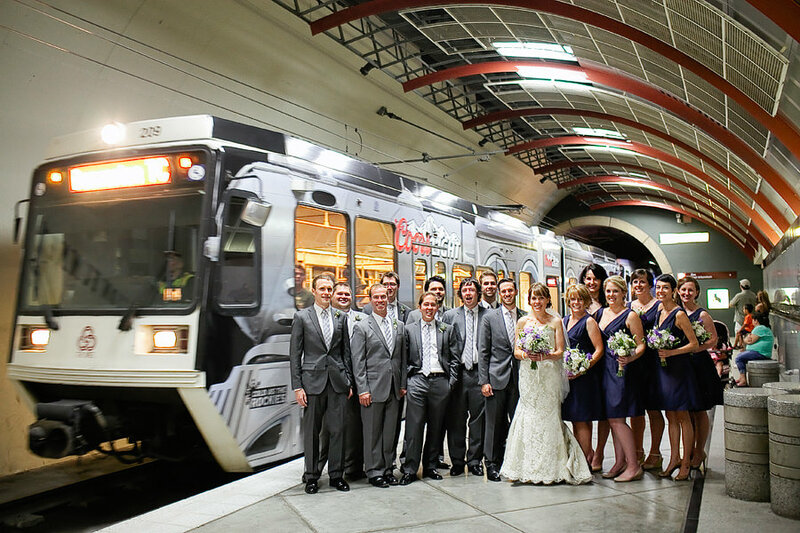 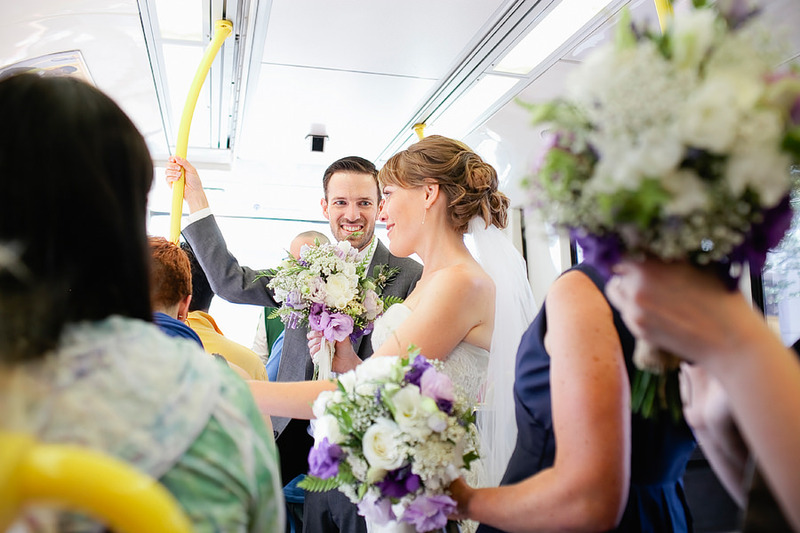 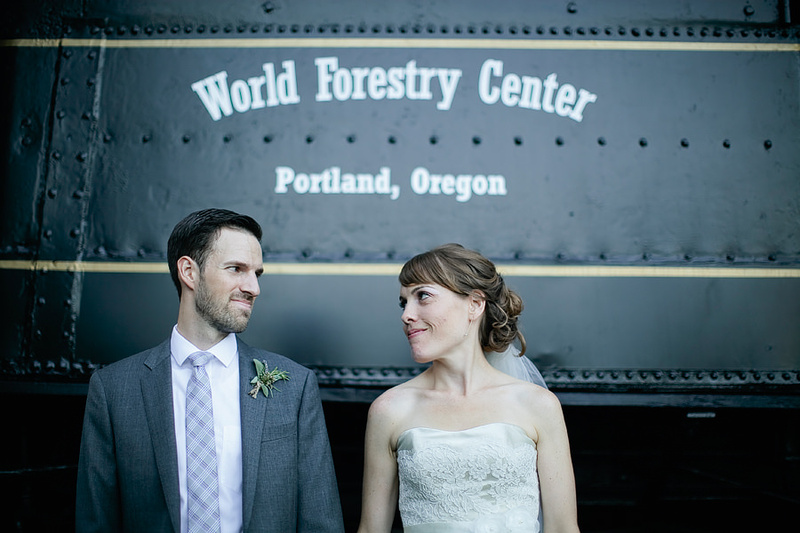 We took photos before the ceremony in downtown Portland, and then boarded the MAX to the World Forestry Centeret! 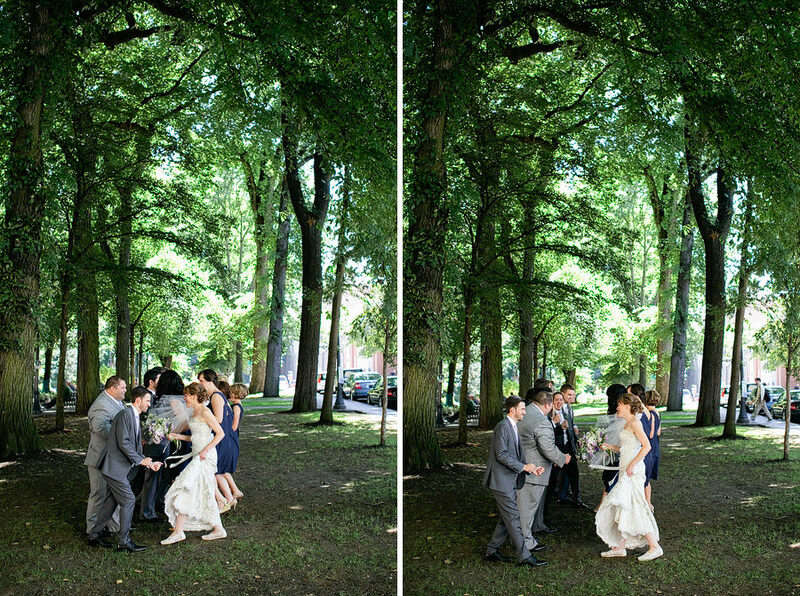 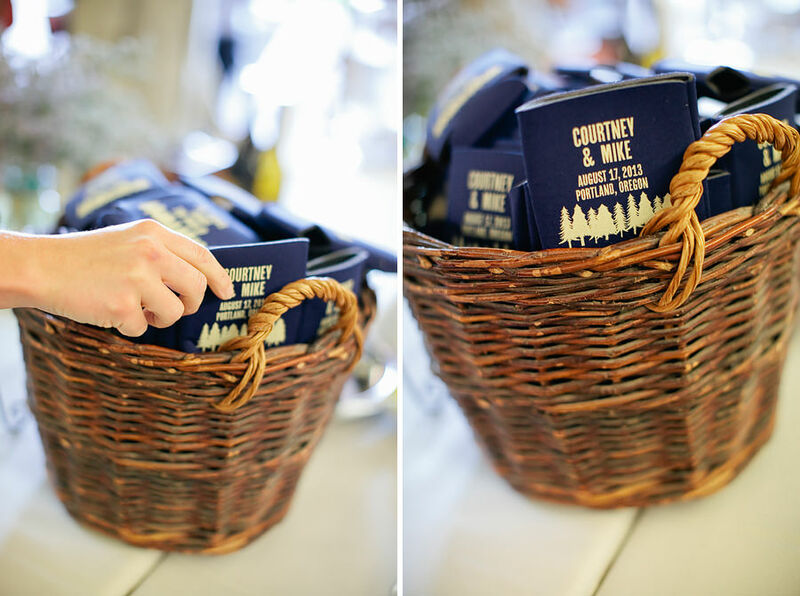 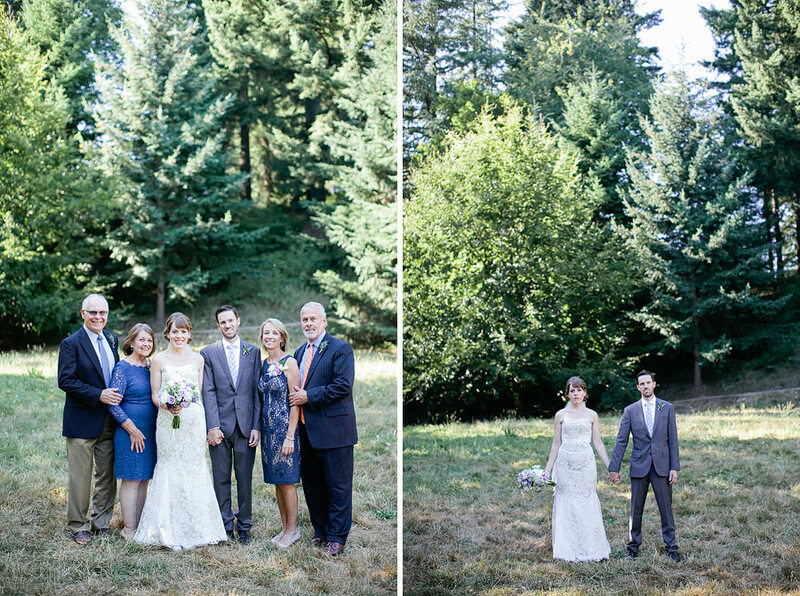 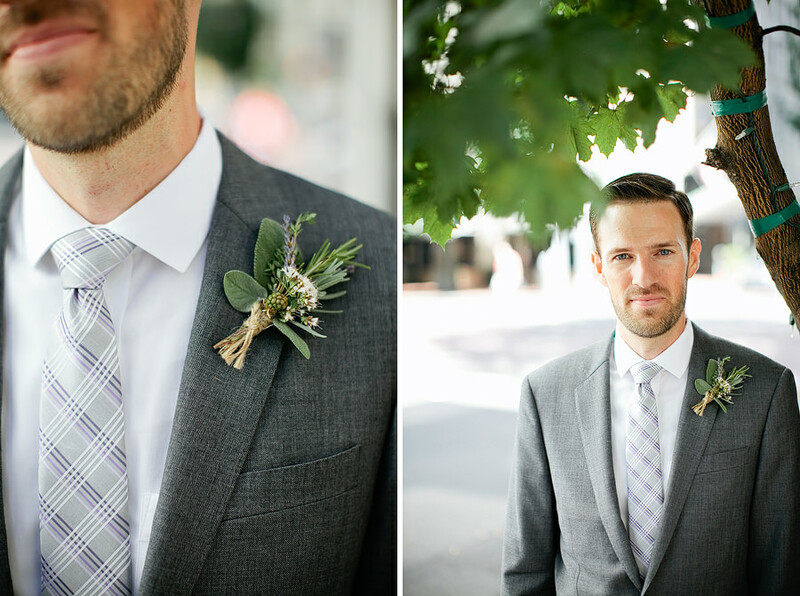 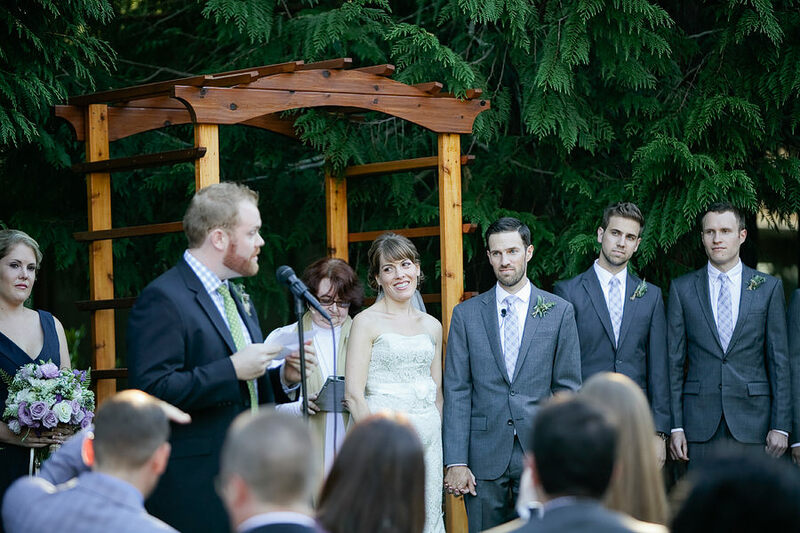 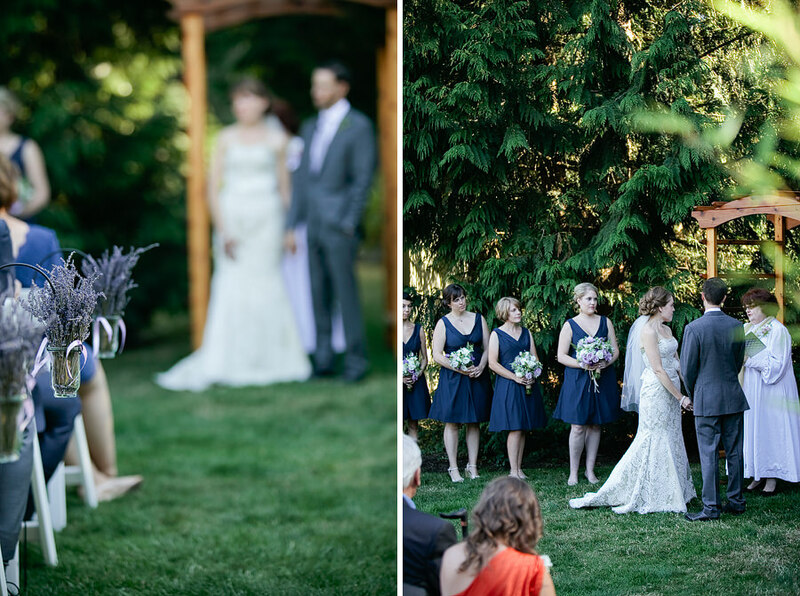 I loved all of Courtney and Mike’s wedding details – the forest theme was so cool! 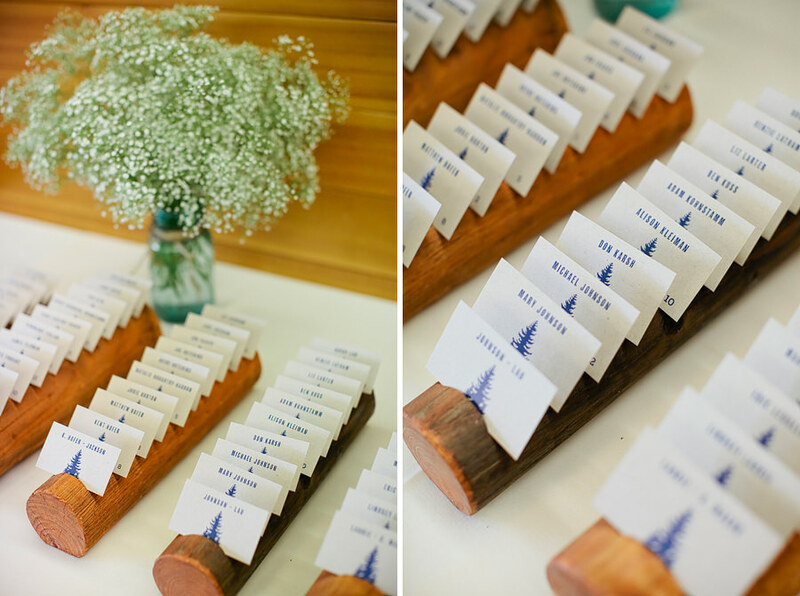 Their guest sign-in was a sketched tree from Bleu de Toi from Etsy, with cute logs on each end holding the paper down. 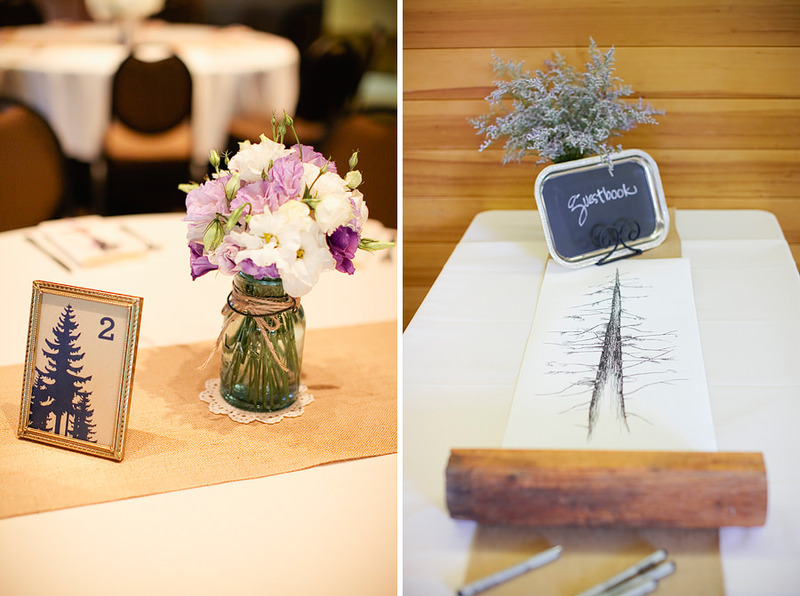 The guest table assignments were placed in little wooden logs, on forest stationary. 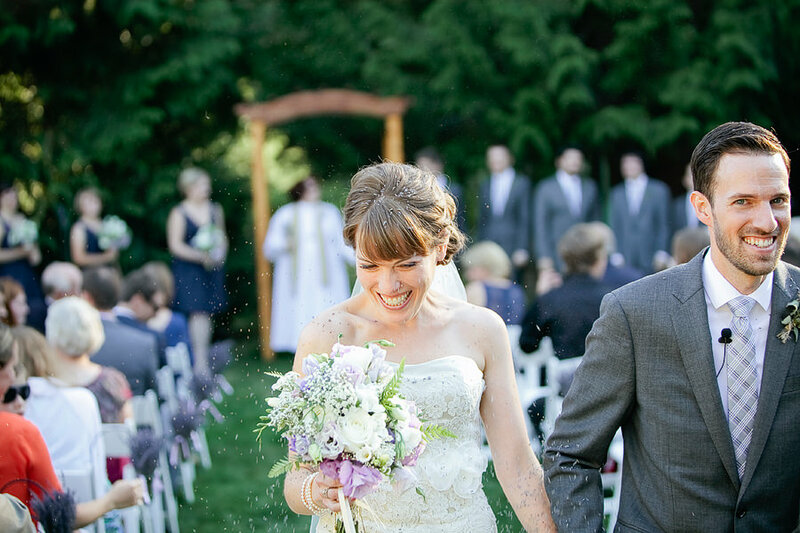 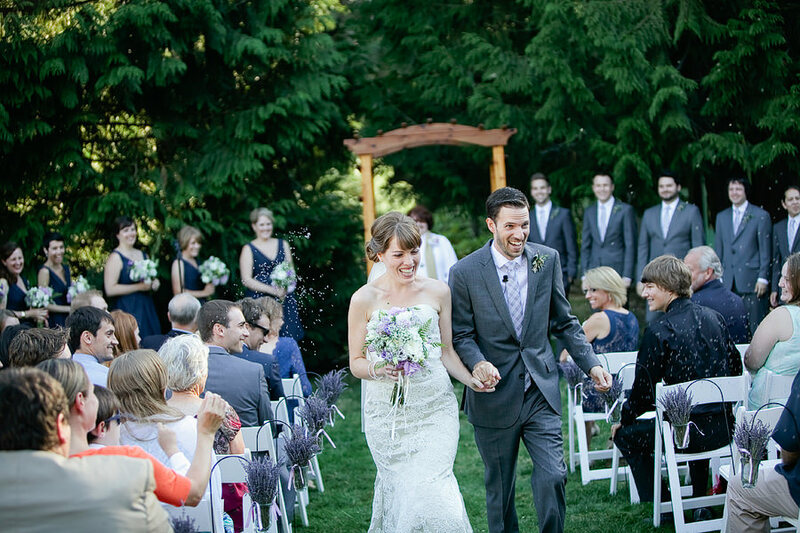 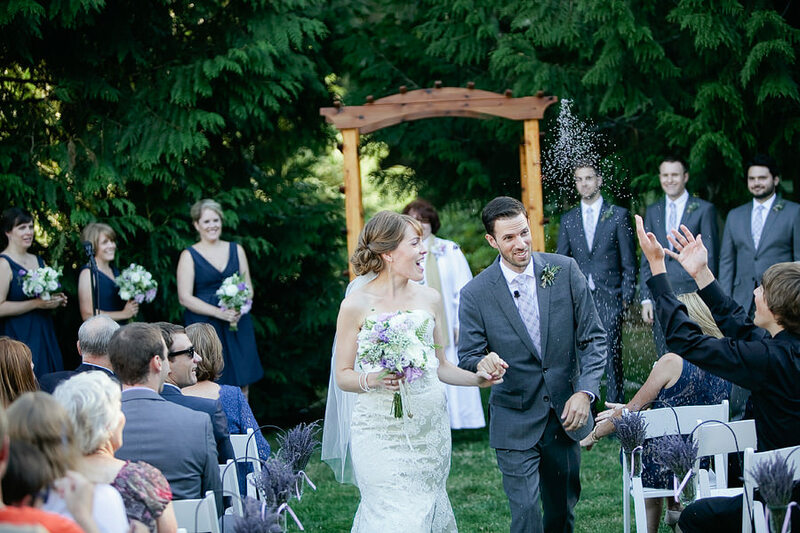 They had their ceremony outside, under the trees, and as Courtney and Mike walked down the isle together, guests sprinkled lavender on them! 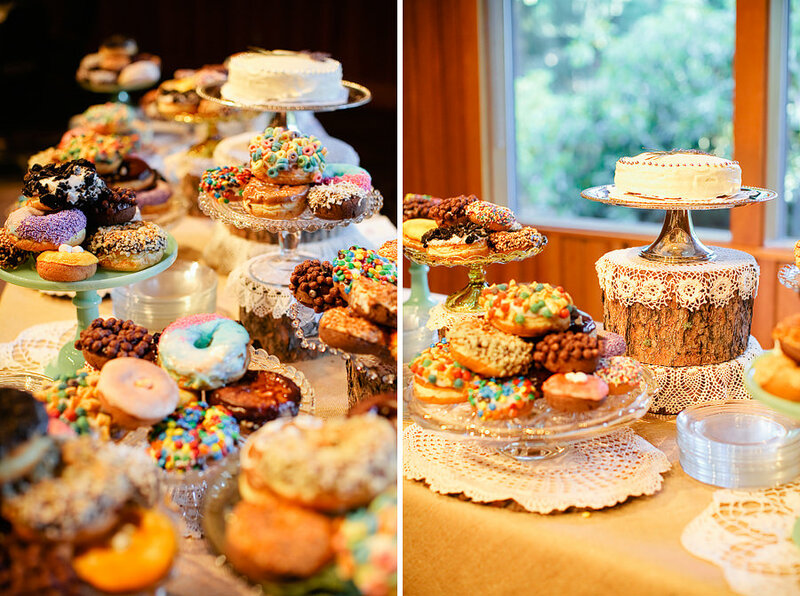 Their amazing dessert table was Voodoo Doughnuts displayed with lace, cake stands, and wooden logs. 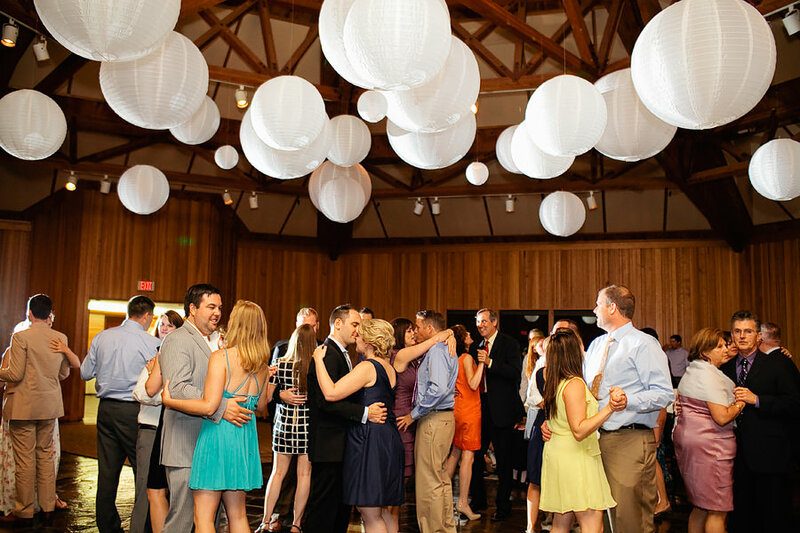 Soon after the donuts were cut, the dance floor filled, and the party was hopping!